Places Where Kids Eat Free On The Gold Coast | Monday to Sunday! Places Where Kids Eat Free On The Gold Coast | Monday – Sunday! 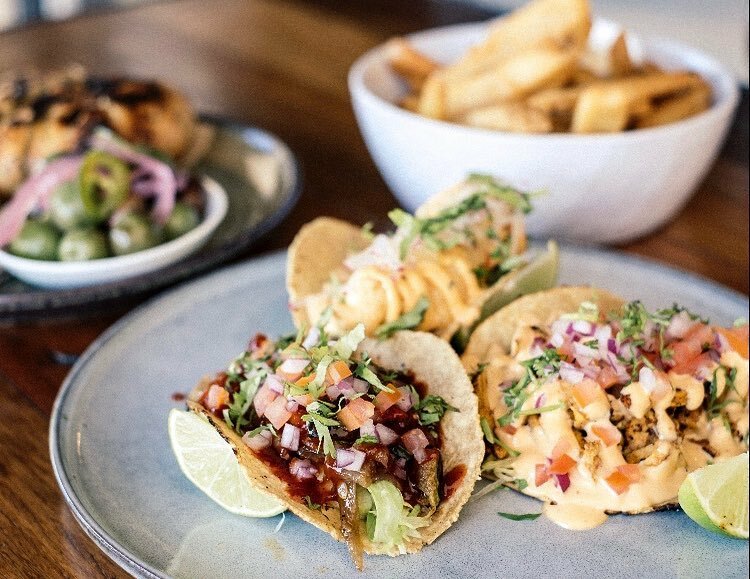 More and more restaurants along the Gold Coast are adopting the popular ‘Kids Eat Free’ promotions that are currently scattered across Australia. 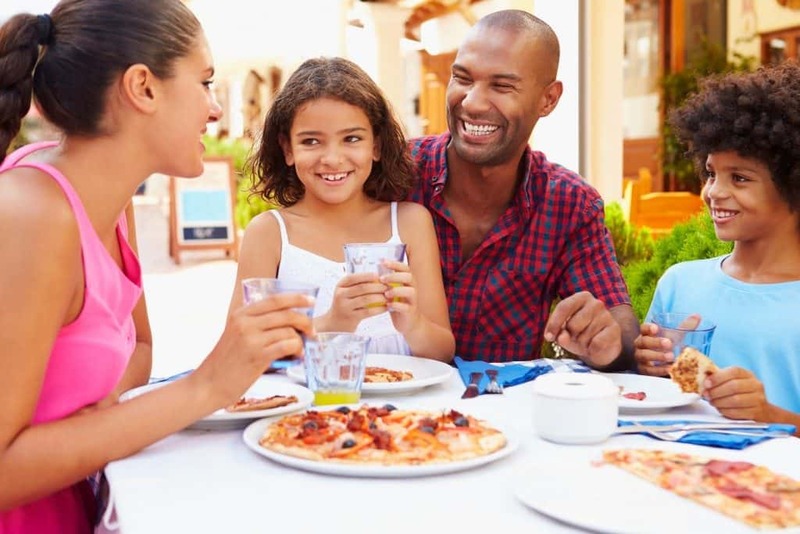 These promotions make the family-dining experience all the more affordable, offering parents the opportunity to feed the kids without having to turn on the stove or reaching for their wallet. It’s a winning combination! Not to mention, most of these venues even offer free entertainment for the children, so parents can sit back and enjoy their meal with no hassle. 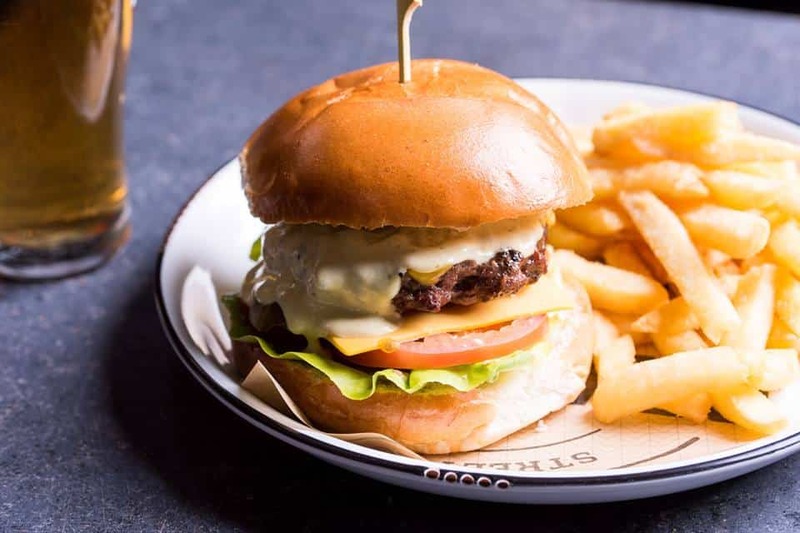 Whether you’re heading out for a family night or embarking on a Gold Coast getaway, here’s a few spots where the kids can grab a free meal. From Sunday to Thursday, 5:30-9pm, kids eat free from the ‘Mis-oh-no Kids Menu’ only, when dining with a full paying adult dining on a banquet of $79 and above. Blackout dates apply. Kids 12 years and under. No further discounts apply. Not valid Friday or Saturday. *Terms and conditions apply. Valid until 31 July 2019. Kids between 3 and 12 years of age eat for free every Monday at the Saltwater Creek Hotel. Children can enjoy classic dishes such as the rib fillet, fish cocktails, or chicken nuggets. Conditions apply – children eat for free with a paying adult. Booking is essential. On every other day, kid’s menu items are $9 each. Children eat free every Monday at the Varsity Lakes Tavern. Kids can choose between classics such as popcorn chicken, cheeseburgers, steak, and much more. On every other day, kid’s menu items are only $8 each. Not to mention, a kid’s entertainer is present on Mondays for the little ones to enjoy. The Benowa Tavern’s ‘Kids Eat Free’ promotion runs all day every Wednesday. With any adult main meal purchase, you’ll receive a free kid’s meal. Children can choose between chicken nuggets, fish, calamari, cheeseburgers, ham and pineapple pizza, or steak. All kid’s meals come with chips and salad or mash and vegetables, and a drink. This promotion is only available for kids 12 years and under. Alternatively head down on either Friday or Saturday night between 6:30pm and 8:30pm for free kids entertainment. On every other night, meals are only $9 each. The Hog’s Breath Cafe offers free kid’s meals every Monday and Tuesday. Purchase an adult main meal (valued over $20) to trigger the promotion. Kids can choose between chicken nuggets, steak, pasta, chicken, fish, and much more. All meals will also come with a drink and a scoop of ice-cream. On every other night, meals are between $9.95 and $12.95 each. Stop by the Mermaid Beach Surf Club every Monday for their ‘Kids Eat Free’ promotion. Adults can redeem one free kid’s meal per main meal purchased. All meals also come with a free ice block. Children have the choice of cheeseburgers, chicken nuggets, fish and chips, chicken schnitzel, calamari rings, or spaghetti bolognese. The venue also offers activity bags for only $2.50 each, a kid’s playground, and free video games. On any other day, kid’s meals are only $9 each. The Southport Sharks offer a wide buffet range for kids to enjoy for free every Monday. Children can choose between roasts, salads, Asian and Italian cusines, and of course, dessert. To trigger the promotion, purchase a full price adult buffet. Ribs and Rumps offer free kid’s meals every week from Monday to Wednesday. Order one adult main meal to trigger the promotion. Children have the option of cheeseburgers, chicken nuggets, lamb ribs, pork ribs, fish and chips, sirloin steak, or beef ribs. Conditions apply – the ‘Kids Eat Free’ promotion is only available at participating restaurants. This promotion cannot be used alongside other discounts. This offer is available both Monday and Tuesday. Trigger the promotion through the purchase of a full price adult main meal (valued over $20). Kids can choose between chicken nuggets, steak, pasta, chicken, fish, and much more. All meals will also come with a drink and a scoop of ice-cream. Head to your local Toscani’s restaurant at anytime between Sunday and Wednesday for their ‘Kids Eat Free’ promotion. Receive the free kid’s meal when you purchase a main meal. Children have the option of chicken strips, steak, fish, or spaghetti. All meals also come with free ice cream. Conditions apply – this offer is only available to kids under 12 years of age and cannot be used alongside any other offer. On every other day, kid’s meals are $10 each. Available Monday to Wednesday, kids receive a free meal through the purchase of an adult main meal. Children have the option of cheeseburgers, chicken nuggets, lamb ribs, pork ribs, fish and chips, sirloin steak, or beef ribs. This offer cannot be used with any other discounts and is only available at participating restaurants. Kids eat free every Monday and Tuesday at the Nerang Bowls Club. The offer is only available between 5:30 pm and 8:30 pm and is triggered when an adult main meal is purchased. 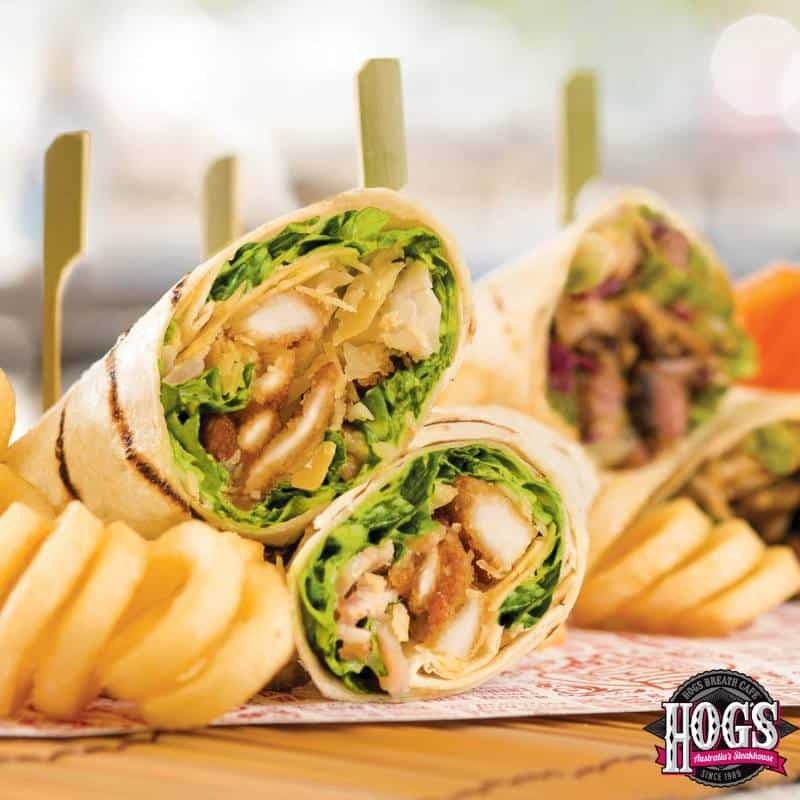 Children can choose between classics such as spaghetti, chicken nuggets, chicken schnitzel, burgers, fish and chips, or rib fillet. All kid’s meals also come with a drink or ice cream. On every other day, kid’s meals are only $7.50 each. The Lonestar Tavern offer their ‘Kid’s Eat Free’ promotion every Tuesday and Friday when an adult main meal is purchased. Children can choose between chicken nuggets, fish and chips, spaghetti, steak, or cheeseburgers. All meals come with chips and a drink. To top it off, the Lonestar also has kid’s entertainers and play areas. This promotion is only available to kids 12 years and under. Alternatively, head over between 11:30 am and 8:30 pm every Sunday to enjoy the jumping castle. Kids eat free every Wednesday night at the Pacific Pines tavern. Purchase one adult main meal to receive one free kid’s meal. Children can choose between fish and chips, calamari and chips, cheeseburger and chips, or spaghetti. Between 5:30 pm and 8:30 pm every Wednesday, kids eat free at the Eagle Tavern. Purchase one adult main meal to redeem a free kid’s meal. Kids can choose between classics such as chicken nuggets and chips, battered fish and chips, spaghetti, or cheeseburgers. The meals are also served with a drink and dessert. On every other day kid’s menu items are $9.95 each. This offer also includes a drink and dessert. Head to the Currumbin RSL every Wednesday for their ‘Kids Eat Free’ offer. Children under 12 years of age can receive a kid’s meal free of charge whenever an adult member orders a main meal. Children have the choice of popular items such as nachos or tacos. Conditions apply – this offer isn’t available on public and school holidays. On every other day, kid’s meals are between $11 and $13.50 each. 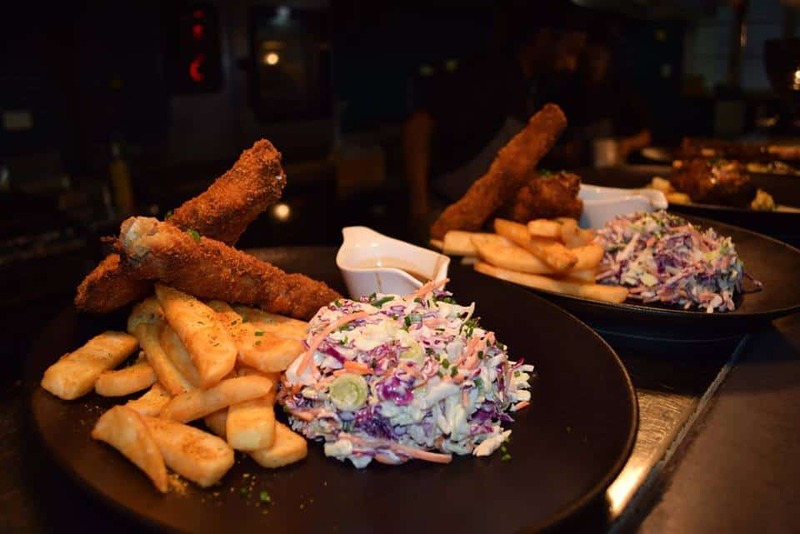 Kid eat free through the purchase of an adult main meal at Ribs And Rumps. Children have the option of cheeseburgers, chicken nuggets, lamb ribs, pork ribs, fish and chips, sirloin steak, or beef ribs. The offer can’t be redeemed alongside any other discounts. Although it’s not exactly a ‘Kids Eat Free’ promotion, you can still take advantage of this great value. Thursday nights at the FireCue, you can grab half a kilo of ribs for only $25. This promotion is available from 5:30pm. Choose between either beef or pork. Prior booking is essential. Kids eat free at the Lonestar Tavern every Tuesday and Friday. Trigger the promotion by purchasing an adult main meal. Children can choose between chicken nuggets, fish and chips, spaghetti, steak, or cheeseburgers. All meals come with chips and a drink. Kid’s entertainers and play areas are also available. This promotion only applies to kids 12 years and under. It doesn’t matter whether it’s Saturday or Sunday at Southport’s RSL Club, because kids eat free all weekend long. Purchase one adult main meal to redeem a free kid’s meal. Children can choose between classic dishes such as steak and chips, crumbed fish and chips, chicken nuggets and chips, or penne bolognese. All meals also include a drink, ice cream and an activity pack. This offer is only available to kids 12 years and under. Kids eat free at the Dog And Parrot Tavern every Sunday night from 5:30 pm. Children can choose between popular items such as chicken nuggets, fish and chips, cheese burgers, spaghetti bolognese, or ham and pineapple pizza. All kid’s meals also come with either ice cream or jelly. The tavern also hosts free kid’s entertainment every Friday and Saturday night. Head over to Southport’s RSL Club on either Saturday or Sunday for their ‘Kids Eat Free’ promotion. The offer is triggered through the purchase of an adult main meal. Children can choose between classic dishes such as steak and chips, crumbed fish and chips, chicken nuggets and chips, or penne bolognese. All meals also include a drink, ice cream and an activity pack. This promotion is only available to kids under 12 years of age. Available from 11am every Sunday, kids eat free at the Beach House Hotel. Children can choose between calamari, cheeseburgers, chicken burgers, spaghetti bolognese, chicken nuggets or crumbed fish. All meals also come with vanilla ice cream and a drink. The venue also offers free activity sheets for the kids to enjoy. Address: Various destinations. Check with your local restaurant to see if this offer is available. From Sunday to Wednesday, kids under 12 years eat for free at selected Toscani’s restaurants. Trigger the promotion by purchasing a large pasta, main meal or pizza. This offer is available all day. Kids can choose from chicken strips, steak and chips, fish and chips, or spaghetti bolognese. All kid’s meals come with a free ice cream. Conditions apply – this offer can’t be used alongside any other discounts. Previous postThe Best Kid Friendly Toowoomba Restaurants, Pubs and Cafes Next postPlaces Where Kids Eat Free in Adelaide | Monday to Sunday!